Because fumes and corrosive filter agents do not affect this aspirator, it can be used safely with bases, acids, and strong chemicals. 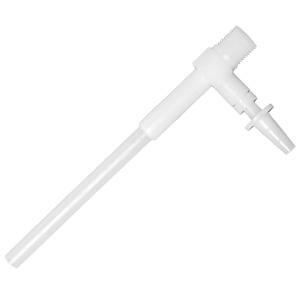 The pump fits any standard laboratory faucet and accepts tubing up to 9.5mm ( 3/8") ID. Operates efficiently on normal water pressure above 11 psi.